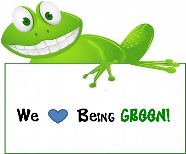 We love being a Green School. We achieved out Sixth Flag on Global Citizenship – Litter & Waste in 2018. Great work by all the boys and girls on the Green Schools' Committee, and all the teachers who help to organise this.